Darwin is the Northern Territory’s tropical capital city, with a laid-back attitude and balmy nights made for exploring in a hire car. Looking out over the Timor Sea, Darwin is closer to Bali than it is to most other Australian cities. Asia’s influence can be felt, heard and tasted throughout the city. And nowhere is this influence more prevalent than at the wonderful Asian-style night markets the city plays host to each weekend. Although Darwin is a boom town that has thrived off the profits of mining, there is much more to the city than just that. It’s a place that maintains a perpetually relaxed atmosphere, running at the pace of a rural town. Even in upmarket eateries in the city, shorts and thongs are de rigueur. As Darwin is prone to extreme weather, with both heat and rain, it’s best to plan your visit around these seasonal extremes. Most people prefer to go during Australian winter, from May to September, when Darwin’s “dry season” brings balmy weather and spectacular sunsets. If you visit during the monsoon months, from January to April, you’ll bear witness to the full force of Mother Nature and be treated lush green landscapes, illuminated by electrical storms in the afternoons. It’s also a chance to explore Darwin’s surrounds with fewer tourists. Nature and the great outdoors are part of the fabric of life in Darwin. 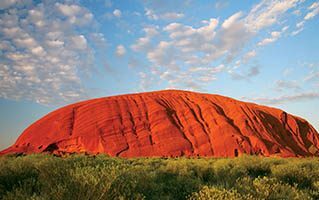 With a rental car from Hertz, you can explore everything that the city and the wonderful Northern Territory has to offer. Traveling to a new place can be overwhelming with the amount of resources available telling you what to see and do. We have curated some of the must things to do while you’re in Darwin.